InterNations Toronto invites you to celebrate the first Friday of March 2019 with us at Queen Anne Pub. 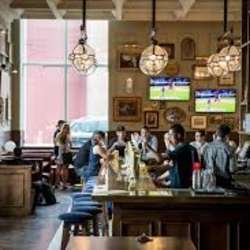 This classy European style pub in downtown Toronto offers not just a variety of spirits but scrumptious food too. Finding like-minded people in a new city can be quite challenging. Therefore, this event and the many that will follow will help you to overcome that challenge and assist you in starting your own network and getting to know other interesting people.